Looking to automate your Sunday Envelope collections? We now offer several ways to make an electronic gift via electronic transfer (ACH), credit or debit card to St. Peter’s Parish &amp; School. Below you will find several options on where you can direct your gift. Depending on the type of gift, you can set up recurring gifts (like Sunday Collections) or set up a Pledge Gift and have automatic ACH or credit card deductions made on a schedule of your choosing. Make a one-time or weekly recurring gift to the Sunday Collection and eliminate the need and additional cost for envelopes to be mailed to your home. Make a pledge or one-time gift to the “Preserving our Past, Securing Our Future” Capital Campaign. Donations can be made to directly support the operations of our school. These gifts can be made to general operations or a specific need in the school community. 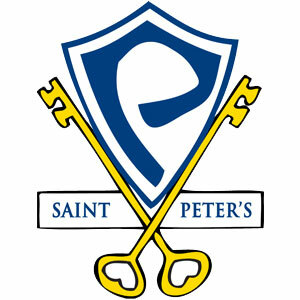 The Annual Fund provides tuition assistance for families who want to send their students to St. Peter’s, but do not have the financial means. The Mansfield Catholic Cemeteries Association is responsible for maintaining the two Catholic Cemeteries in greater Mansfield. This includes Mansfield Catholic Cemetery & Prince of Peace Catholic Cemetery. The purpose of the Msgr. Dunn Foundation is to generate significant financial resources for the parish & school in its ongoing effort to promote and maintain this most important ministry of the Catholic Church.